When you’re sick but can’t schedule an appointment with your primary care physician in time, the knowledgeable team at Revive Medical Urgent Care has you covered. They provide timely treatment for non-life-threatening illnesses — such as strep throat — at their convenient location in Oklahoma City, Oklahoma. If you’re suffering from an illness that doesn’t require emergency care, call, schedule an appointment online or walk into Revive Medical Urgent Care today. When should I seek urgent care for an illness? The decision on whether to go to an emergency room or urgent care clinic can be confusing. 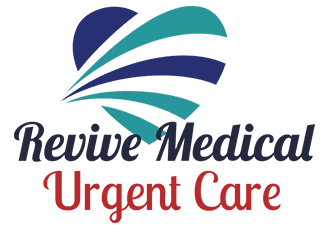 As a general rule, if you or a loved one is sick with an illness that isn’t a medical emergency but still requires treatment within 24 hours, you should go to an urgent care clinic like Revive Medical Urgent Care. You should call 911 or seek emergency medical care if you or a loved one experience any of the above. What is considered a non-life-threatening illness? What are the benefits of going to an urgent care clinic? The team at Revive Medical Urgent Care has expertise in treating a wide range of non-life-threatening medical issues. They’re open seven days a week until 8pm and accept most types of insurance. They also accept most credit cards and offer special discounts for self-paying patients. Call, book online, or walk in for prompt service today.